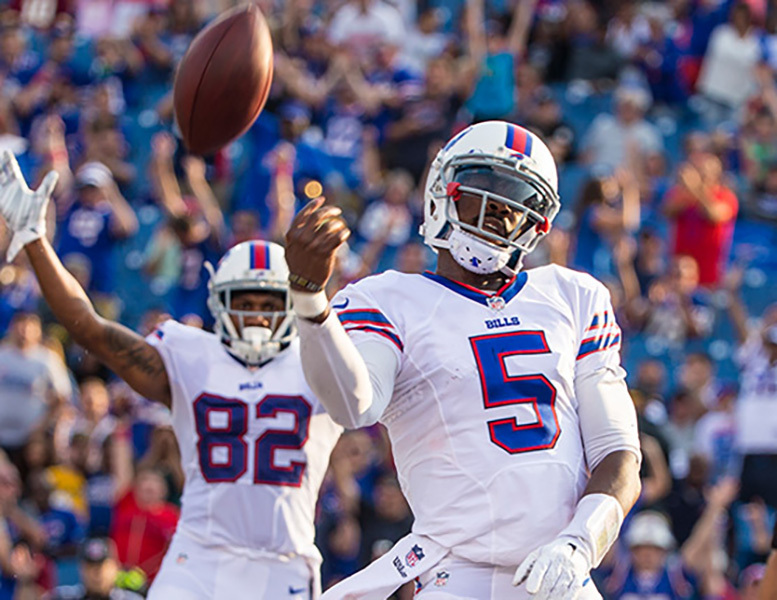 CLEVELAND, Ohio – Buffalo Bills’ QB, Tyrod Taylor is on the radar of the Cleveland Browns. Taylor has worked with new QB coach David Lee for two years prior to being hired by Cleveland, which will give Browns Head Coach Hue Jackson a fresh perspective on Taylor. If Taylor was to be released by Buffalo, he would be an alternative option to the price that current No. 1 prospect, Jimmy Garoppolo brings to the table for Cleveland. The Bills have until March 11 to make a decision on Taylor and hold an option that has the possibilities for big money for their quarterbacks. Something to the extent of $30.55 million in guarantees. It seems likely that the Bills will release Taylor, but that all depends on Buffalo hiring a new Head Coach. Cleveland won’t be the only club to express free agent interest in Taylor, who’s averaged roughly 3,000 yards passing, 18 touchdowns, and six interceptions during his two campaigns as a starter. The Cardinals are also expected to pursue Taylor if he hits the open market, as Jason La Canfora of CBSSports.com recently reported. Was this the greatest 12 months in American Sports History?